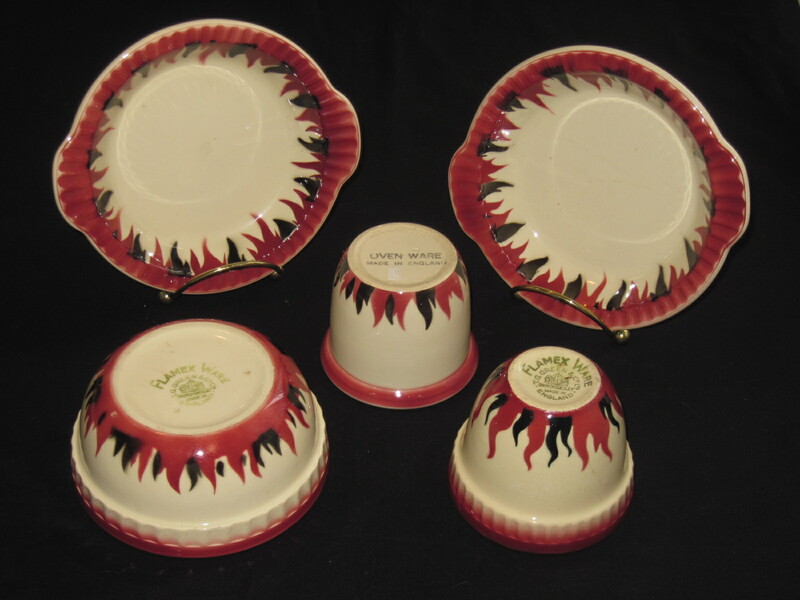 I have 5 custard cups and 5 flat bowls of flamex ware for sale.Interested? I’m in grandbend for the next couple of days but I live in Toronto. I have an oval (soap?) dish in very good condition. Interested in purchasing? If so, make offer. I can supply photos. You can pay through PayPal for security. 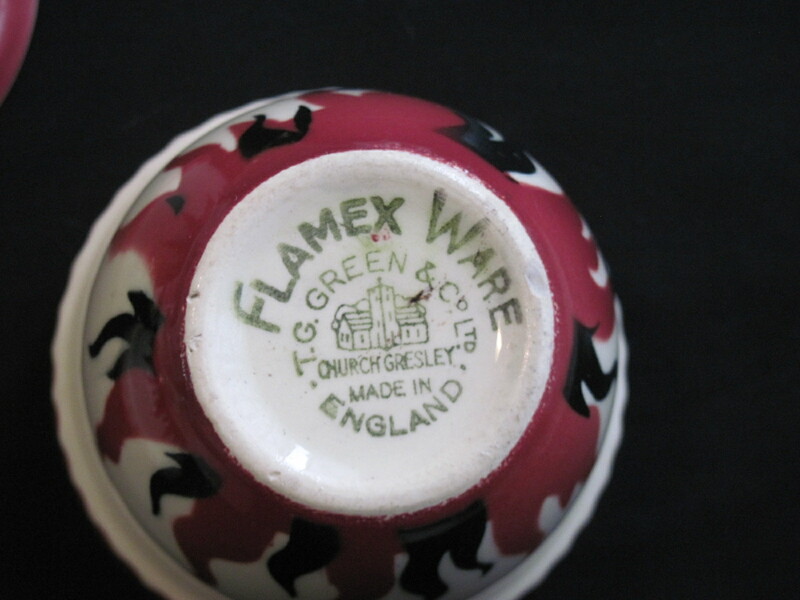 Thanks to all who have contacted me with items to sell in the Flameware pattern. Although I would really like to acquire them, I am starting to downsize my own collections and will not be purchasing more of the pattern.